Cloud Constellation Corporation and SpaceChain have entered into a partnership to develop a space-based market for decentralized currency exchange venues. Cloud Constellation and SpaceChain will collaborate to enable services that combine the secure, global data storage and communications capabilities of SpaceBelt™ with applications based on SpaceChain’s open source standard, SpaceChain OS. Services anticipated, but not limited to, include space-based cryptocurrency cold wallets and payment services that can be accessed by enterprise organizations, exchange operators and, ultimately, mobile end users. Cloud Constellation’s SpaceBelt Data Security as a Service (DSaaS) is a patented, scalable, space-based cloud service for securing high-value and highly sensitive data assets by providing data storage in space and global, secure managed network services. SpaceBelt services are a paradigm shift in data security that greatly mitigates the risk of a data breach by providing global isolation of a customer’s data from inherently vulnerable global terrestrial networks. A constellation of eight satellites in LEO is networked with a redundant, self-healing optical ring for high availability. SpaceChain is building the world’s first open-source, blockchain-based satellite network, allowing users to develop and run decentralized applications in space. The SpaceChain operating system, hosted in space, will be available to anyone, anywhere in the world, all while remaining secure, immutable and uncensorable through proven blockchain cryptography. 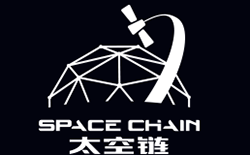 Zheng Zuo, Co-Founder and CEO of SpaceChain, said that the company is glad to find partners that share the same passion — Cloud Constellation has made tremendous progress in building a data vault in space, and SpaceChain is excited to collaborate with them to provide the firm's operating system and blockchain technical support to extend its use case and security level. Cliff Beek, President and CEO of Cloud Constellation Corporation, added that the combined technologies of SpaceBelt and SpaceChain will enable the company to offer significant innovation and security to the cryptocurrency market. There hasn’t been a more exciting time to be in the space industry. Dennis R. Gatens, VP of channel management and marketing, Cloud Constellation Corporation, noted that as cryptocurrencies and blockchain become embedded in the global economy, key infrastructure elements will be necessary in order to provide secure transactions and global connectivity. The intersection of these organizations’ innovative visions will transform the traditional applications for satellites into space-based cloud platforms for commerce.